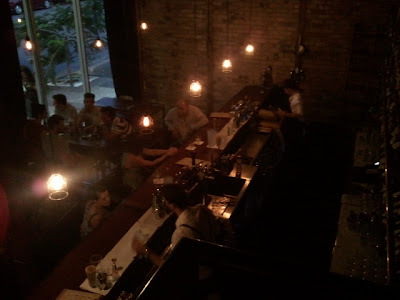 Cobbler, a 'brother' bar to Pony Cat in New Farm and Kettle and Tin in Paddington opened its doors on Wednesday afternoon. Seeing as I had a bit of time to kill between work and dinner at Lefkas, I stopped by for a look. The bar is nestled comfortably into a large space along the street front of Browning Street, West End. It's a welcoming space, all wood, bricks and high chairs. One of the two guys behind the bar was the owner as well as the creator of the impressive cocktail menu. The cocktails were mostly whiskey and rum based, ochre drinks that read very temptingly but I settled for a perfectly made g'n't. 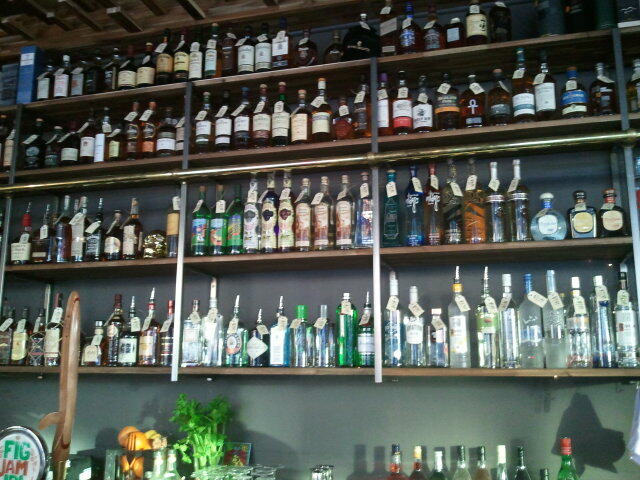 The bar is well-stocked with liquors, particularly of the amber variety. Brilliantly, each bottle has its' price on an easy-to-read label, so you can sit and pick which of the score of whiskeys is in your price range without having to ask. 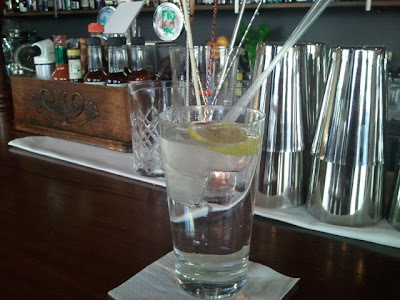 They are also, unlike most bars, reasonably priced. 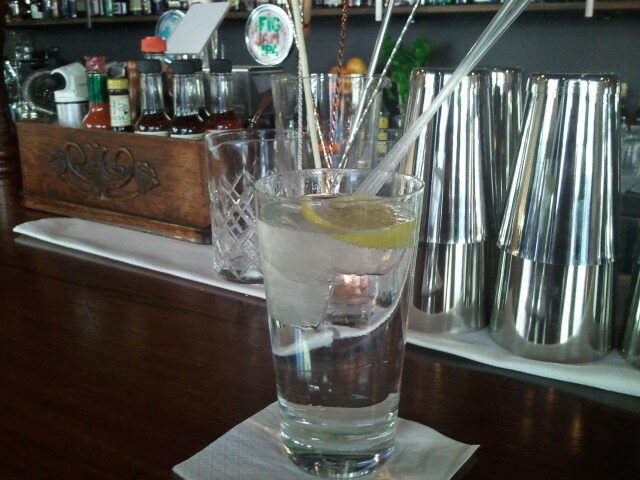 My Hendricks g'n't set me back only $10. The guys next to me were sampling whiskeys, of which there are dozens, served with single ice cubes that filled their tumblers. 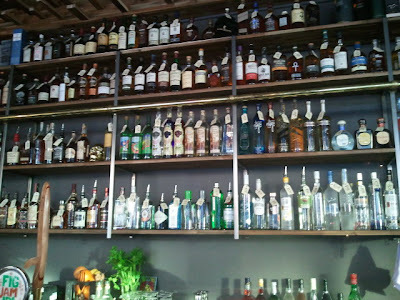 If you're a wine drinker there is a limited selection, but this is a cocktail and whiskey bar and if that's the tipple you're after I say give this place a try. These guys seem to know what they're doing. Cobbler is at 8 Browning Street, West End opposite the Melbourne Hotel. Oh I must go here also! Perhaps we can make our date a 2-venue thing? I do like this cafe, so maybe yes. Or just more dates...?